There's nothing quite like the smell of sea air at your doorstep to lull you to sleep. An ambiance of quiet contentment encompasses this absolutely unique property nearly .30 acre and 90 foot frontage. 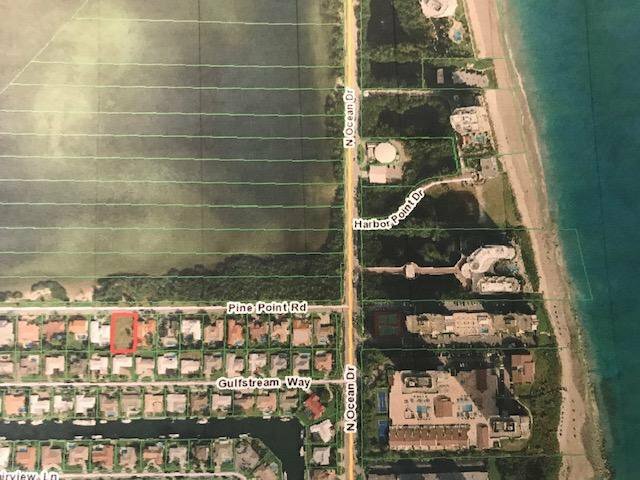 The last remaining lot on Pine Point, surrounded by beautiful homes and gorgeous Intracoastal views! Watch the sunrise. Walk barefoot and relax with deeded beach rights. Canoe, kayak, paddleboard. Take morning walks and enjoy the sights of Singer Island. Build your dream home here! Listing courtesy of RE/MAX Prestige Realty/Wellington.